Welcome your new family addition to their new home with this adorable personalized baby gift! This Canvas Wall Art For Kids would make the perfect decoration for your baby girl or boy's nursery, and the personalized touch adds something special to the design. 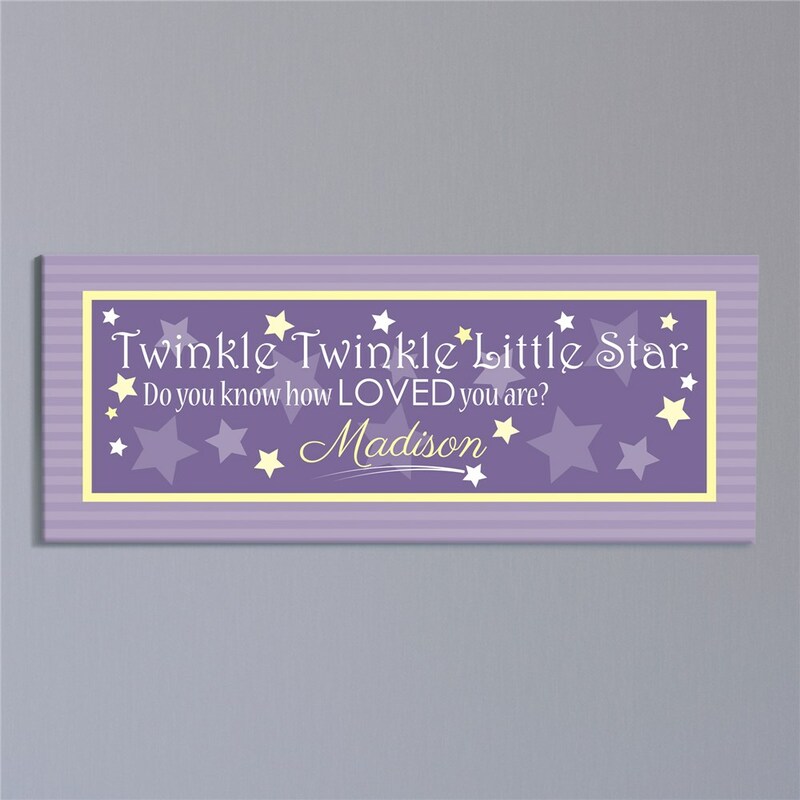 Free personalization of any design color of blue or purple and any name is included.